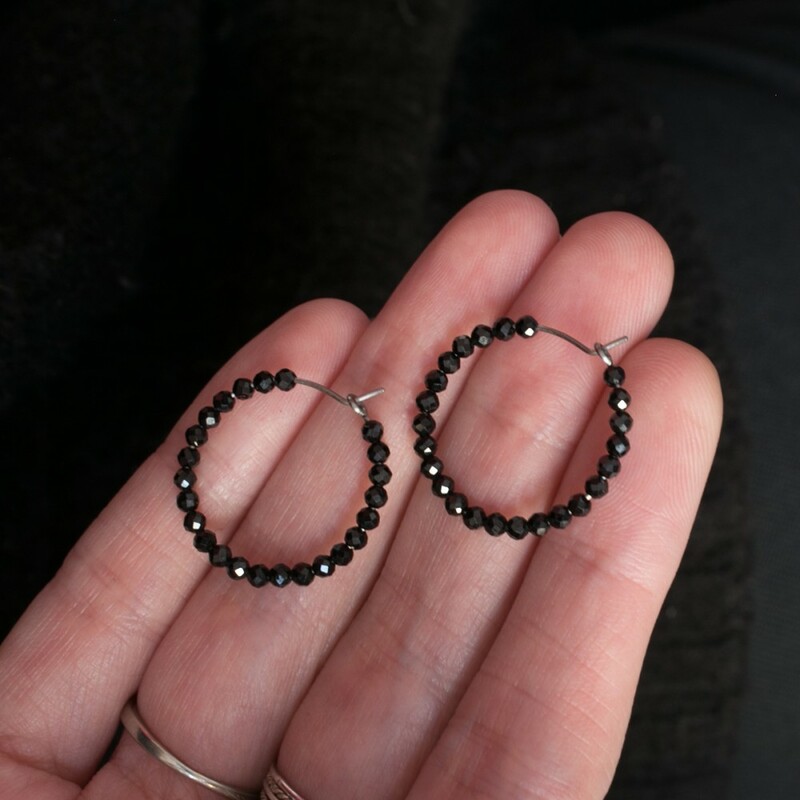 Handmade titanium small hoop earrings with faceted black spinel beads (very bright black semi precious stones). They are light to wear, dark and shiny, understated and cosmic. 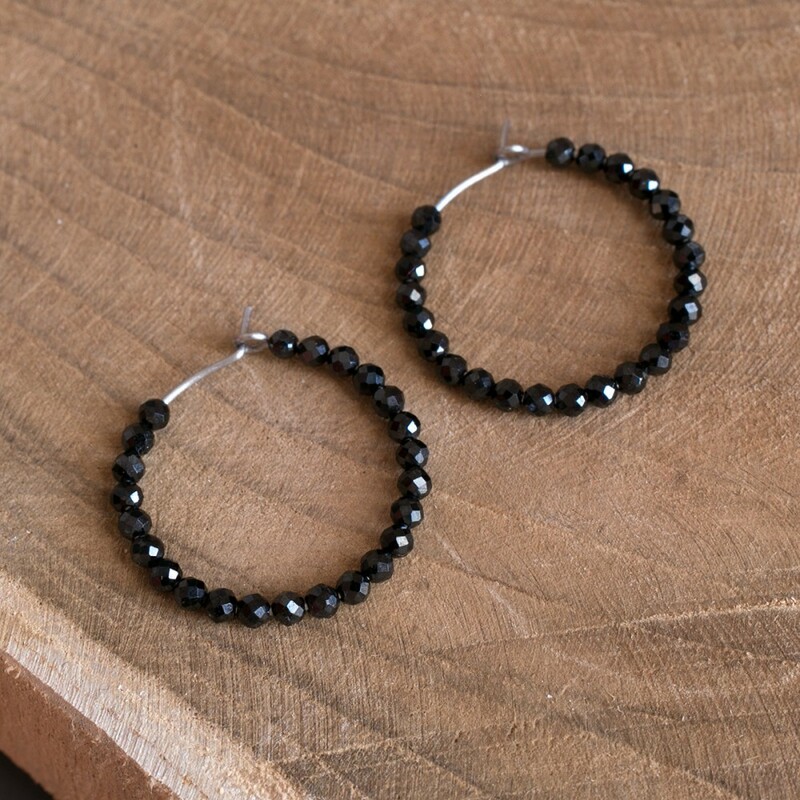 They measure about 2cm in diameter and are covered with tiny spinel beads . 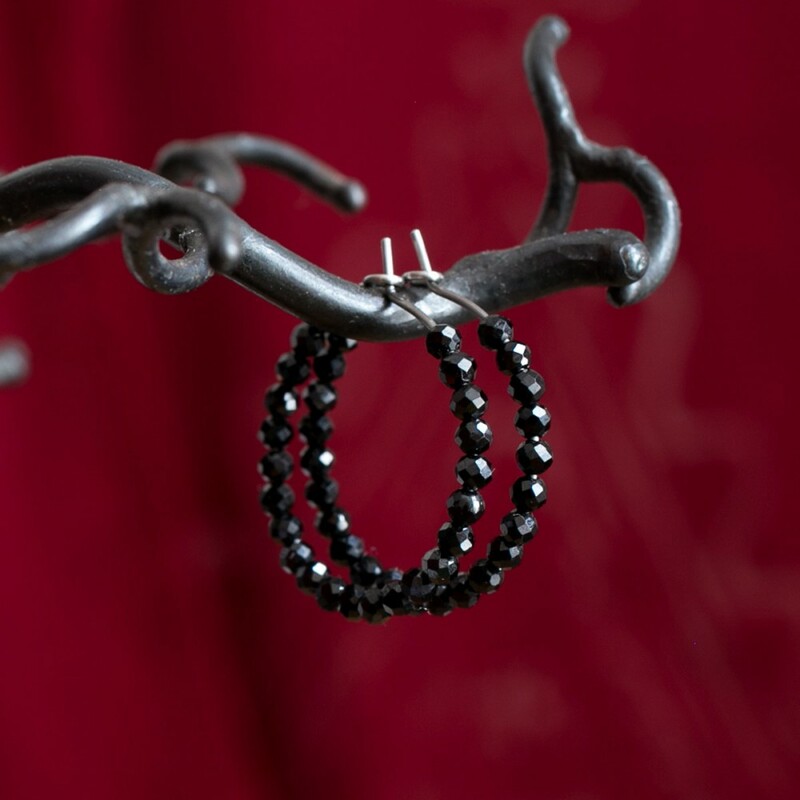 Spinel is a black gemstone. Very black, very shiny.